The new issue of the Turkish vegan and vegetarian maganize Veg & Nature Dergi is out! It includes an article from me as well. 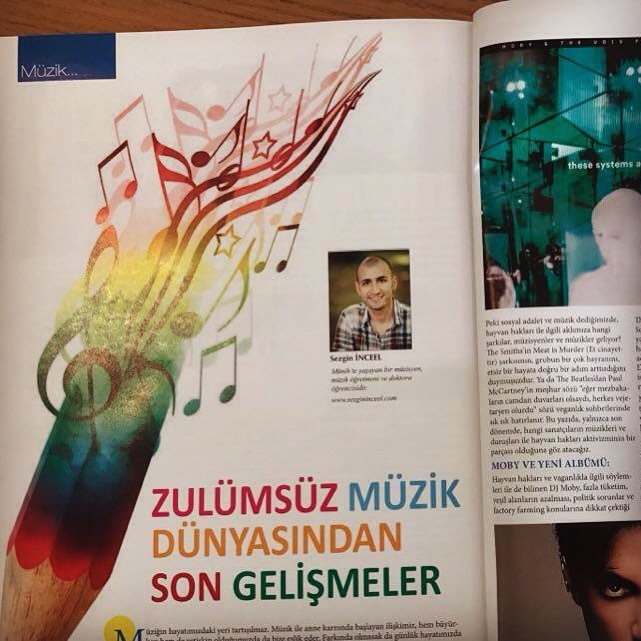 I scrutinised some musicians who are active in animal rights scene, such as Moby, Prince and Özlem Tekin.